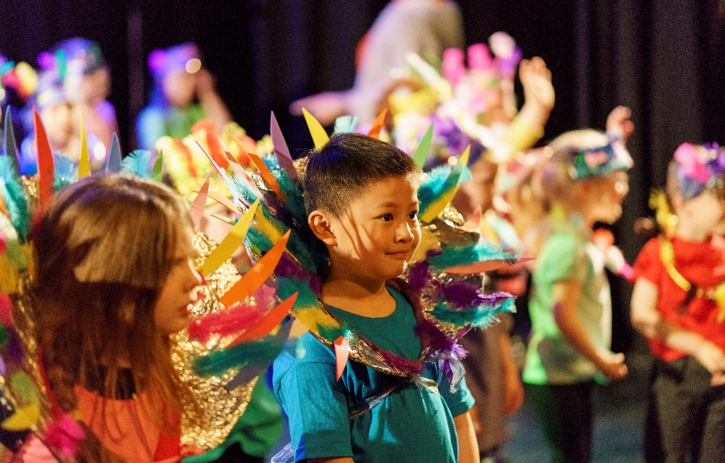 Derby Theatre's creative learning programmes are nationally celebrated. Our community is at the heart of everything we do. 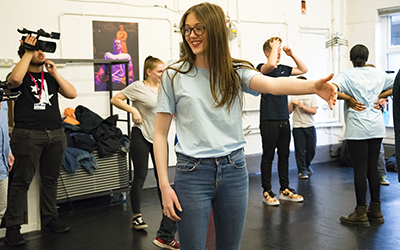 Our projects are designed to reflect that, concentrating on increasing community engagement with our work and supporting young people as they dive headfirst into the exciting world of theatre. Funded by Barnardo's, The Mighty Creatives, and your wonderful donations, our award-winning Plus One scheme works with children in care and care leavers across Derbyshire. We invite these young people on an inspiring journey into the theatre-making process through visits, workshops, and placements. Derby Theatre heads up the Plus One project for Derby’s Strategic Cultural Group, which also includes Déda, Derby Museums, QUAD and Sinfonia ViVA. More information about Plus One can be found here. Derby Theatre is the lead partner for Derby's Cultural Education Partnership (DCEP). Every child in our city deserves a chance to explore their creative potential. In collaboration with our partners, including Quad, Déda, Derby Museums, Sinfonia ViVA, Baby People, and East Midlands Caribbean Carnival Arts Network (EMCCAN), Derby Theatre provides Derby's young people with unlimited opportunities to develop the skills, confidence, and aspirations they need to shatter any barrier that stands in their way. Alongside our partners, we also provide schools with guidance to help them develop in concurrence with Ofsted's framework. Together, we are working towards a future without limits for every child in the city. Fronted by Derby Theatre, In Good Company is a cutting-edge cultural collaboration between the Midlands' premiere artistic producers. The IGC partners are: Attenborough Arts Centre, Burton Brewhouse, Lincolnshire One Venues, Old Library Mansfield, Nonsuch and Nottingham Playhouse, Arena Theatre, Curve, and our London partner, New Diorama. In Good Company develops exciting emerging artists across the East Midlands. The project is funded by Arts Council England and our partner venues, and is the driving force in identifying important talent throughout the Midlands and nuturting the voices that will tell the stories of the future. Find out more at https://www.derbytheatre.co.uk/artist-development/in-good-company. Derby Theatre's legendary Youth Theatre has grown! From Autumn 2018, we will be running a fully D/deaf inclusive Youth Theatre programme alongside our ever-popular existing workshops. This group will be open to all young people aged 8 - 18, but will prioritise Derby's brilliant D/deaf youth. Our expert creative team will guide them along the road to the stage, as they learn amazing new performance skills and step into the spotlight in a performance of their own. In 2017, Derby Theatre launched RYAE. Partnering with Hull Truck Theatre and Live Theatre Newcastle, we auditioned and recruited 30 exceptional young actors aged 18 to 25 to star in an exclusive performance at Hull's City of Culture celebrations, directed by Derby Theatre's Artistic Director and Chief Executive Sarah Brigham. Our extraordinary performers were selected from communities where geography and finance represent significant barriers to creative expression. They put on such a fantastic show that we've decided to seek funding to run RYAE for a second year. Find out more about the project on our 'Artist Development' pages. Born from the outstanding generosity of Buxton resident Doreen Weaver, The Brian Weaver Fellowship nurtures the talent of the future. The Fellowship sponsors an aspiring actor from Derbyshire to appear in two professional productions at Derby Theatre. The talented recipient will then have the opportunity to hone their craft in an exclusive mentorship with our Artistic Director and Head of Learning. Previous recipients of the award include Adam Horvath, Jake Waring and Helena Rimmer. CLICK HERE TO DONATE and give the gift of theatre to our community. Any amount you can give us will fund the dreams of children and young people in Derbyshire!